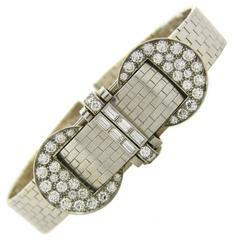 Beautiful lady's platinum and diamond Art Deco bracelet watch, created by Van Cleef & Arpels in circa 1930s. 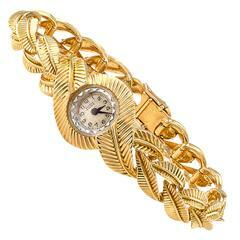 With classic tank case, this elegant and timeless jeweled timepiece is a great addition to your jewelry collection. 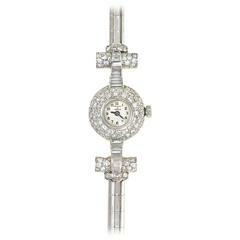 The watch is made of platinum and set with 286 single cut diamonds - total weight approximately 5.47 carats. 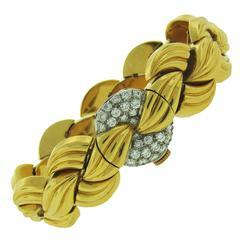 Case #6544, Swiss made, 17 jewels. The watch fits perfectly up to 6.25-inch wrist. The case measures 1 x 1/2 inch (25 x 15 mm). 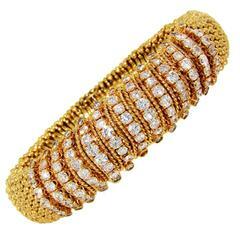 The bracelet is 3/8 inch wide. Weight 29.6 grams. The watch has a serial number and French hallmark for platinum.